A couple weeks ago, I shared the image below of my newborn niece with you. 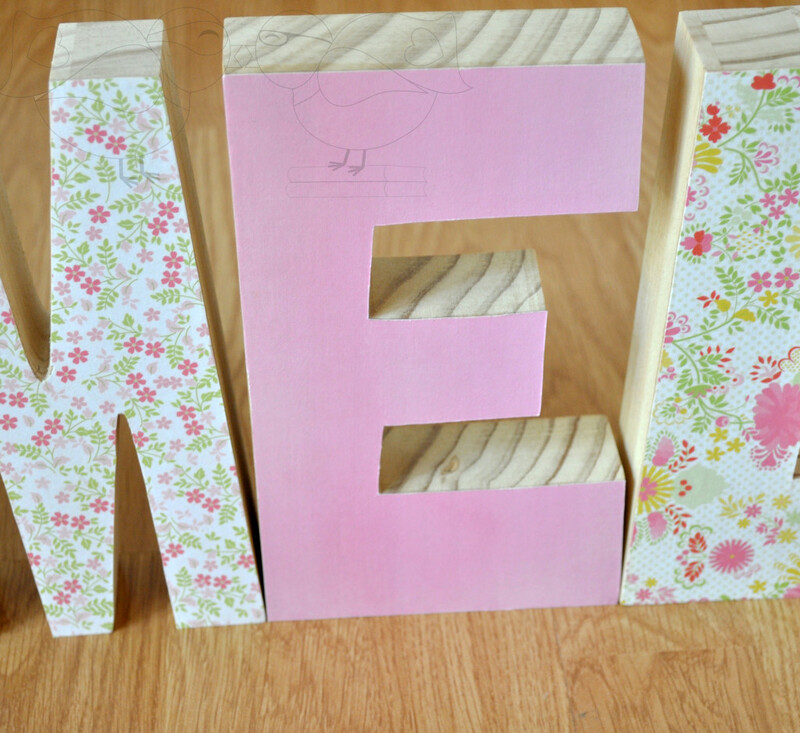 I made that name as a gift for her; I used solid wood block letters instead of the paper mache letters I have used in the past. On the downside, they are more expensive. I think the benefits are worth the price though; they are really sturdy, can all stand on their own or be easily hung, and the sides look fabulous on their own because of the beautiful natural wood. The day after my niece was born, my best friend Erin had her first baby, a gorgeous little girl named Amelia. I consider myself incredibly lucky to have Erin as my best friend – she is goofy, incredibly smart and caring, patient, a book lover like me, and a fellow Doctor Who fan. I wish we lived closer, but instead we have most of Minnesota and all of Wisconsin between us. I was lucky to be able to go spend a week with them after the baby was born to help out some after her husband returned to work and to give lots of love to Amelia. 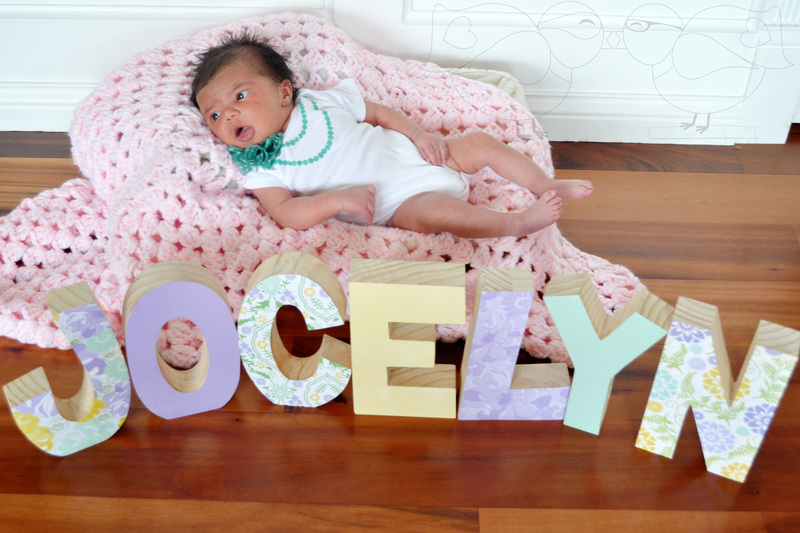 I decorated letters for her as well using pinks and greens which we used for some newborn pictures; now, the name is nursery decor. The tutorial is down below. If you don’t want to make them though and are interested in purchasing a decorated name, you can find the listing HERE on my Etsy shop. I used the same procedure as I did for the paper mache letters I decorated in my office with only a couple differences. 1, I left the sides of the letters bare because the natural wood looks nice on its own. 2, I used an exacto blade to slightly shave down any extra paper, built up mod podge or any accidental pencil marks from tracing the letters. You can find the original and full tutorial for the letters HERE.